IPHI works through partnerships to promote prevention and improve public health systems that maximize health and quality of life for the people of Illinois. IPHI's vision: Optimal physical, mental and social well-being for all people in Illinois through a high-functioning public health system comprised of active public, private and voluntary partners. Get in touch with the Illinois Public Health Institute. Takeaways from Elissa J. Bassler (CEO, Ilinois Public Health Institute) at the CDC Public Forum “Best Practices for Community Health Needs Assessment (CHNA) and Implementation Strategy Development” meeting. 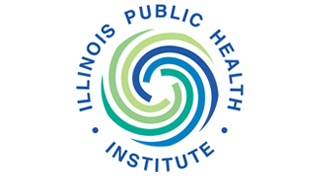 Review this letter designating the Illinois Public Health Institute as the bona fide agent for the Illinois Department of Public Health for a cooperative agreement with CDC. Review this statewide health improvment plan act giving legislative authority for the use of the national performance standards and framework for the creation of the Illinois Public Health Institute.